The pollution in the city agravates stress we undergo on a daily basis. Research shows that when are stressed, our bodies produces corticosteroids that weakens our immunity. Likewise, pollutants and free radicals hinders the rejuvenation of our cells, thus, causing premature ageing. When stress and free radicals are combined, we become moer susceptible to diseases. 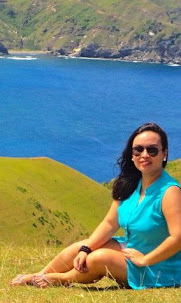 Going close to nature is one way of recharging yourself, like going to the beach, waterfalls or doing yoga in a garden. This is because you are immersed with negative ions that come from the waterfalls, the beach or the plants from the garden. But what if you live in a city where all you can see are tall buildings? 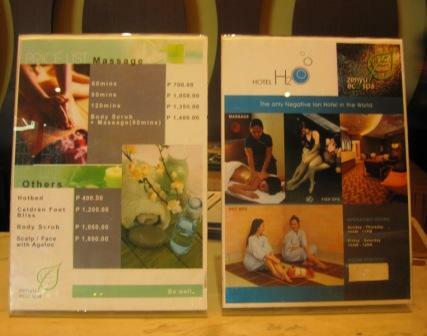 It's time to go to Zenyu Ecospa, the only negative ion spa in the Philippines. 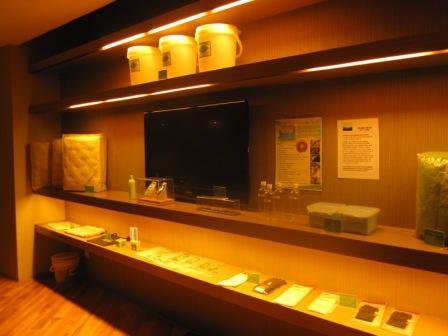 Nestled at the 4th floor of Hotel H2O in Manila Ocean Park, Zenyu Eco Spa is a real sanctuary of wellness. 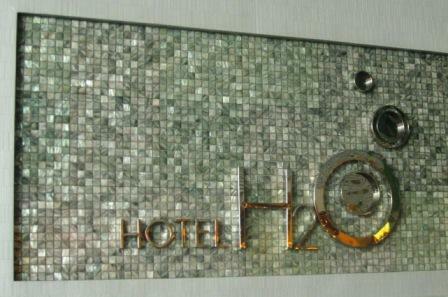 Hotel H2O also has nice marine-themed rooms where you can stay for a night. 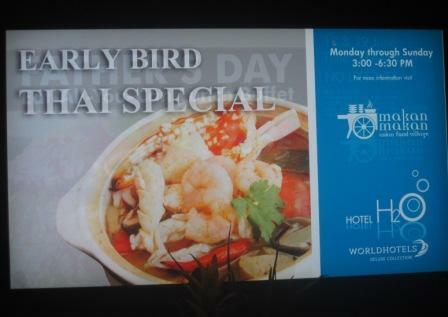 It also offers sumptuous gastronomic offerings. 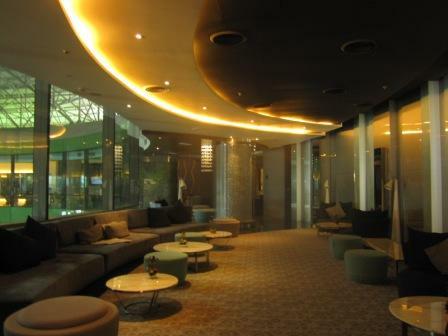 The lobby towards Zenyu Eco Spa. 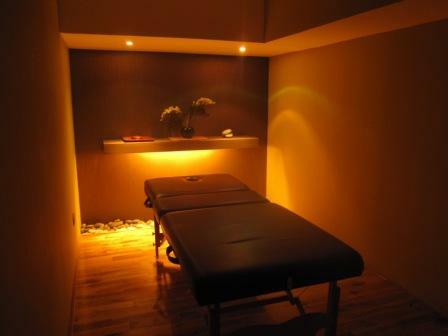 Zenyu Eco Spa offers a wide variety of treatments like massage, body scrubs and a lot more. 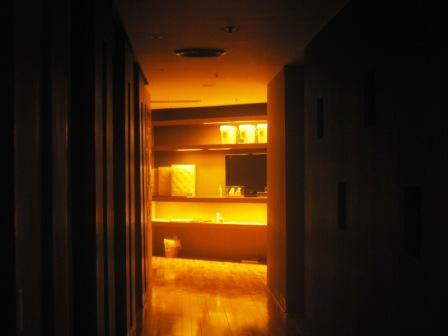 The whole floor of Hotel H2O where you could find Zenyu Eco Spa was covered with a special negative ion paint. Negative ions promotes better blood circulation and counteracts free radicals. They even have an area where they placed specimens like raw eggs that did not become rotten even if it has been there for many months. 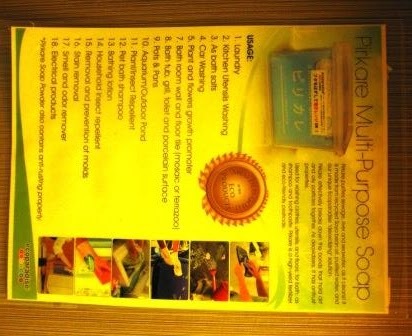 Zenyu Eco Spa also offers other negative ion products. 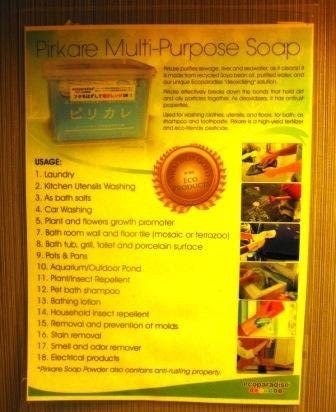 The most unique of which is the PIRKARE powder. 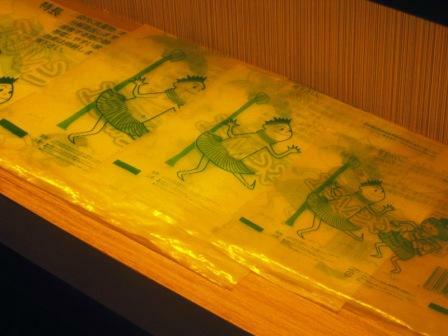 They also have negative ion plastic bags where you can put food to minimize spoilage. 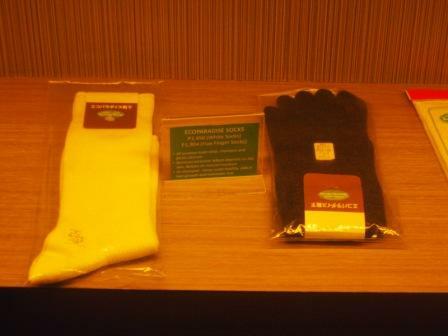 They also have socks that is said to promote better blood circulation. 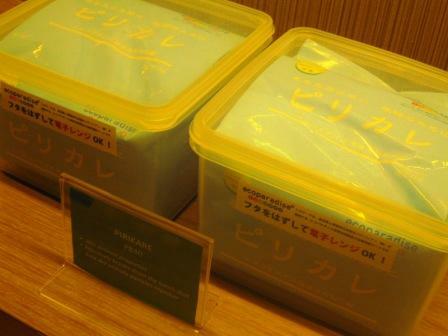 Zenyu Eco Spa welcomes guests with this yummy drink - fermented raisins. It tastes like wine, actually, like Baguio's strawberry wine. And would you believe that this drink was made in this negative ion pail? And it is just left at the corner of the retail area. Yet, it is clean and delicious, and I am loving it. 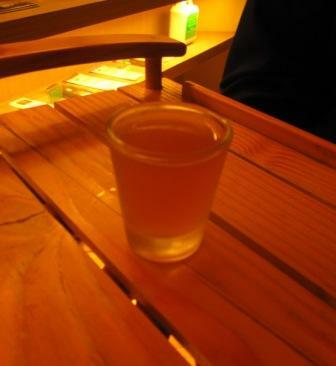 After consuming the drink, I proceeded to the fish jacuzzi. 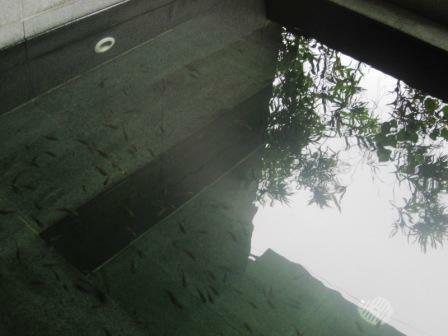 Here, you can soak your entire body and have the fishes nibble on your skin. It's scary at first but after awhile you will get used to it. 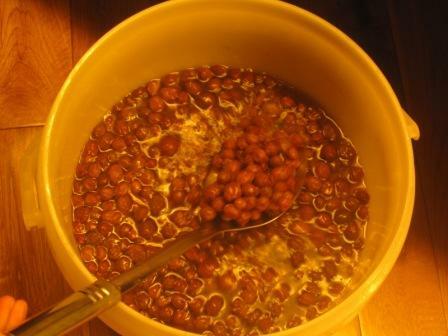 My skin felt smoother after soaking here for 15 minutes. 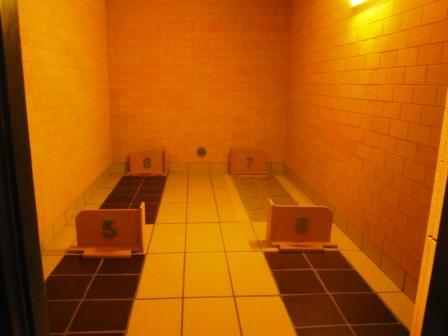 Their lockers are equipped with a hi-tech security system that requires 2 digital keys before you could open it. So your key plus the master key from the concierge is needed. 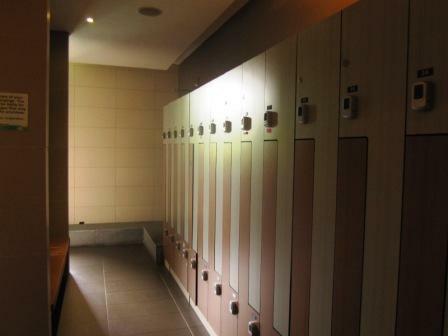 This is to make sure that you only open your locker in the presence of a spa staff, for security reasons. After enjoying the fish jacuzzi, I went to the hot bed. This is like a sauna, though it is not suffocating. The heat here is just enough to make you sweat and to calm your tired muscles. What's good about this hot bed is that you can even bring your celphone and cameras here as it will not get damaged by the heat, unlike in saunas. 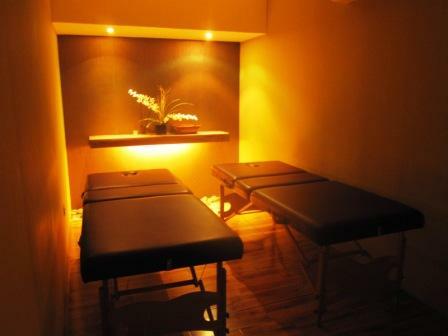 The hot bed is perfect for those who have backaches, dysmenorrhea and other muscle pains. A 30 minute hote bed session is enough but I swear I could stay here for an hour. You can also do yoga here. Following my hot bed indulgence is a massage.Their rooms are quite spacious and are modern. It's cold because it has individual air conditioner inside. They also have couple's room perfect for an anniversary treat. Zenyu Eco Spa is really a unique spa. It's not just about the massage or scrub it offers, but it's a holistic approach to wellness. 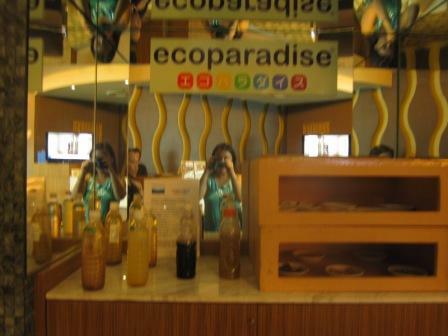 I shall visit Zenyu Eco Spa again for another round of rejuvenation.